Ahh~ I remember the good ol’ days of playing with the Nintendo 64 with my little brother. It’s one of my favorite consoles and this time, I’ll talk about one of my favorite multiplayer games and that is Tony Hawk’s Pro Skater. Look at those beautiful graphics. 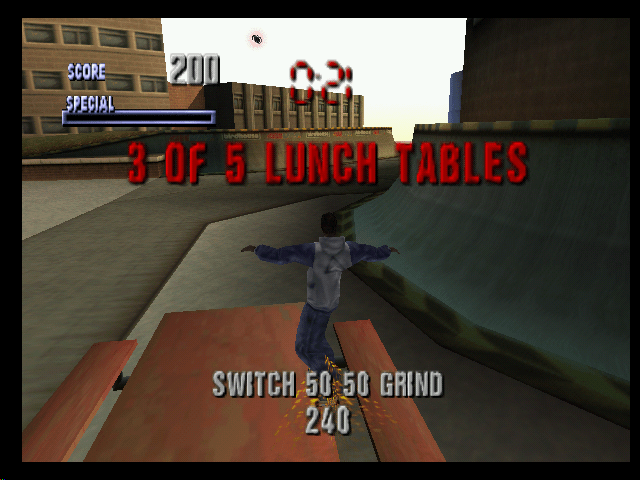 Tony Hawk’s Pro Skater, developed by Neversoft, published by Activision, came out for the PlayStation in 1999 then making its way to the Nintendo 64 a year later, which is the one I played. This was one of the fun skateboarding games of my time and I’ve always played multiplayer with my bro. We had to share the Nintendo 64 at the time so we always played multiplayer games. My brother and I were HUGE fans of Tony Hawk at the time and then realized he had a video game so we freaked out about it and begged our mom to buy it for us. Have you guys played Tony Hawk’s Pro Skater for the Nintendo 64 or PlayStation? ← Gamer Finished Mass Effect: Andromeda On Hardest Difficulty With No Guns! Loved this game. Played the hell out of it when I was a kid. I think my favorite aspect was how fast you were in the game – literally 5 seconds from turning the game on to skating. The arcade style quickness and simplistic nature of the whole game made it just perfect. Side note, if you want to see something really cool, go check out a speedrun of it! People can beat the whole thing in less than 5 minutes. I agree. Really? I need to check that out.